You are here: Home / Blog / Employment / Employment Law – a question of compromise? Employment Law – a question of compromise? Under plans for the introduction of the Enterprise & Regulatory Reform Act, Compromise Agreements will be renamed ‘Settlement Agreements.’ This legally binding agreement between an employer and employee exists to ensure a dismissal or redundancy is conducted in a clean and straightforward way. 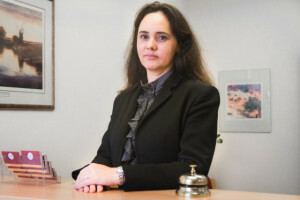 The Government hopes that the simplification of Settlement Agreements will encourage more employers, particularly smaller ones, to use these before formal disputes with employees arise. It is hoped that the wider use of Settlement Agreements will empower employers to look at ways of resolving work place disputes rather than resorting to an often costly Employment Tribunal. The settlement route facilitates an easy, cost-effective and swift resolution to ending an employment relationship with all the terms set out in a single document. What does a settlement agreement involve? The agreement usually involves the employee confirming they do not have any issues which have not been raised with the employer over leaving the company and agreeing not to bring any legal action against their employer in future. This agreement is often made in exchange for a tax efficient cash settlement from the employer, which is conditional on the former employee abiding by the terms of the Settlement Agreement. Acceptance by the employee that the Settlement Agreement is in full and final settlement and there will be no further action against the employer. Whether you are an employer or employee, it is vital to understand the legal importance of a settlement agreement. Employers will want to ensure that the terms of the agreement are watertight, ending the employment relationship in a certain and clean break. Employees, on the other hand, will want to understand their obligations and seek reassurance that the terms of the settlement are not a raw deal. Employees do not sign their rights away when agreeing to a settlement agreement. For a Settlement Agreement to be valid, an employee must take legal advice from a solicitor before signing it. Most employers will agree to pay for this advice or at least make a contribution towards it as it is in their interests to ensure the agreement is valid. What should you expect from the 21st century lawyer?